Las Vegas’ own Keyport is reinventing the conventional keychain – and everything on it – for the modern lifestyle. The Keyport Slide replaces the outdated, bulky keychain and consolidates your essential personal items such as your keys, USB flash drive, and pen into a compact hi-tech key fob that attaches easily to any auto remote. “There is nothing worse than a bulky, jingly keychain, that lacks all sense of style. We intend on changing that and putting a Keyport in everyone’s pocket,” said David Cooper, President of Keyport. Founded in 2005, Keyport is on a mission to reinvent the keychain, transforming it from a utilitarian necessity into an elegant, personal universal access device that complements the smart phone and integrates new technologies when appropriate. The team’s vision is that Keyport will be to everyday carry (EDC) items as the smartphone is to software apps – a single functional and stylish convergent device that puts access to a broad spectrum of functions in the palm of your hand. Downes said the process of building any startup is difficult, and Keyport was his first startup. Keyport is a privately-held Nevada corporation. For Downes, the decision to do business in Nevada came down to a few specific things. The biggest thing that happened to the Keyport team in 2015 was the design and development of new products. The team launched these new products at CES in January 2016. When it comes to CES, Downes says preparation is the key. “CES is such a huge show it is tough to stand out amongst so many great companies, so we just tried to focus on the things we could control,” advised Downes. The focused on training the team to deliver a consistent message to prospective buyers and partners, ensuring the presentation and booth was dialed in, and identifying the people they want to meet with – and arranging those meetings – in advance. Around the same time, they also launched their latest Kickstarter project. The team’s Kickstarter product is the next gen Keyports including a BLE locator that works with TrackR and a knife blade designed by Klecker Knives. Amazingly, in just over three days, the team hit their initial goal of $100,000 raised for the campaign! With 17 days to go, they are now looking at stretch goals. Visit the team at their headquarters located at 3155 W. Tompkins Ave. “We always have great discount for locals, and the entire team loves meeting local tech community members and show them what’s going on at Keyport,” said Cooper. Back and share the team’s current Kickstarter campaign. “The bigger splash we make on Kickstarter, the better for Vegas Tech,” he says. The Keyport team is also looking for local beta testers for future projects. “We don’t always have beta testing opportunities, but when we do, we like when we can work with local Keyporters instead of shipping them out across the country,” said Cooper. The team is also looking for local retailers, especially those on the Strip, to market and sell Keyport products. Any connections to vendors would be appreciated by the team! “While we are not in fundraising mode today, we’re always on the lookout for great investors with whom we share a vision for what Keyport can be,” said Cooper. “On the other side of the coin, we really want to do a better job contributing to the #VegasTech community, and we’re looking forward to doing so here in 2016,” said Downes. The team plans on attending more events, working with UNLV students, and hosting a few more open houses. 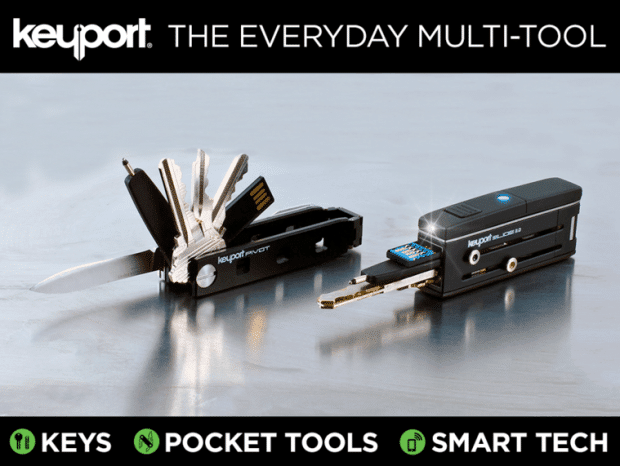 During 2016, the Keyport team’s first and most pressing goal is to deliver their newest products, the Slide 3.0 and the Pivot, to the Kickstarter backers on time and in budget. “Then, we’re excited to move into retail as most of our current sales are direct to consumer via the website,” said Downes. Get to know other startups who call Las Vegas home! 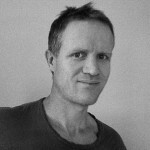 Follow our “Meet #VegasTech Startups” series.